You've braved the snow, sleet and frigid winds of winter in your Arctic Edition, so celebrate your victory over the cold with Jeep Yeti decals by Mopar. These Yeti footprints look fantastic with the right foot on your hood and the left foot on your fender; however, they're sold separately, so make sure you order one of each. 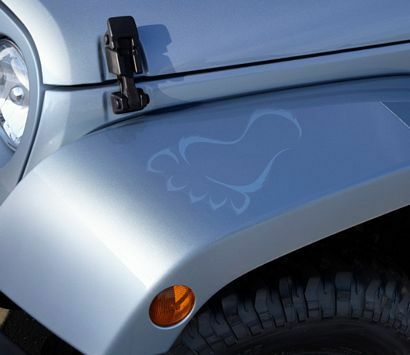 These Jeep Arctic footprint decals can add instant style to your ride. The left and right Footprint decals are sold separately.